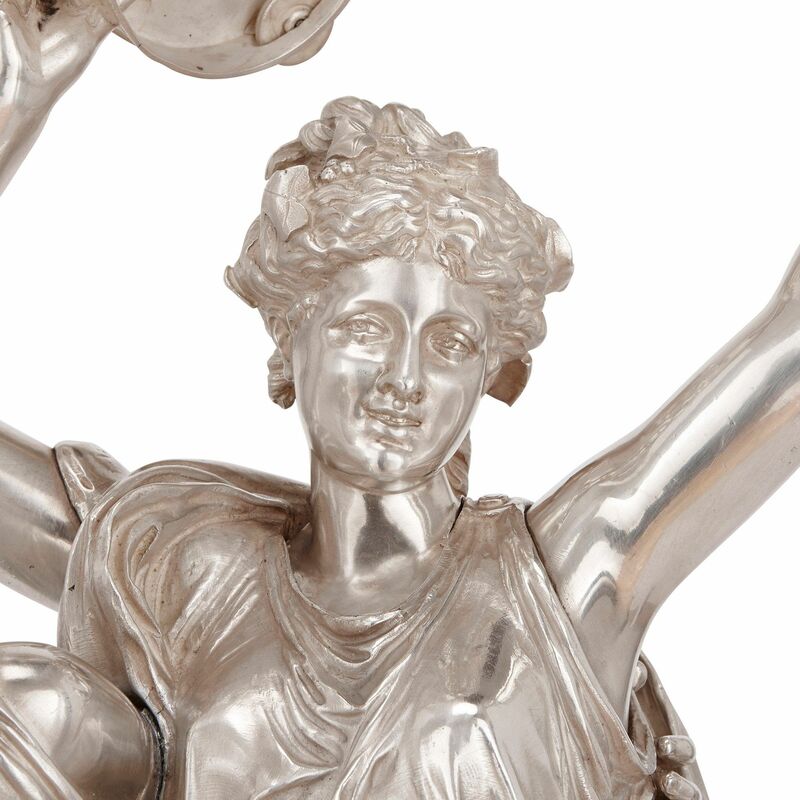 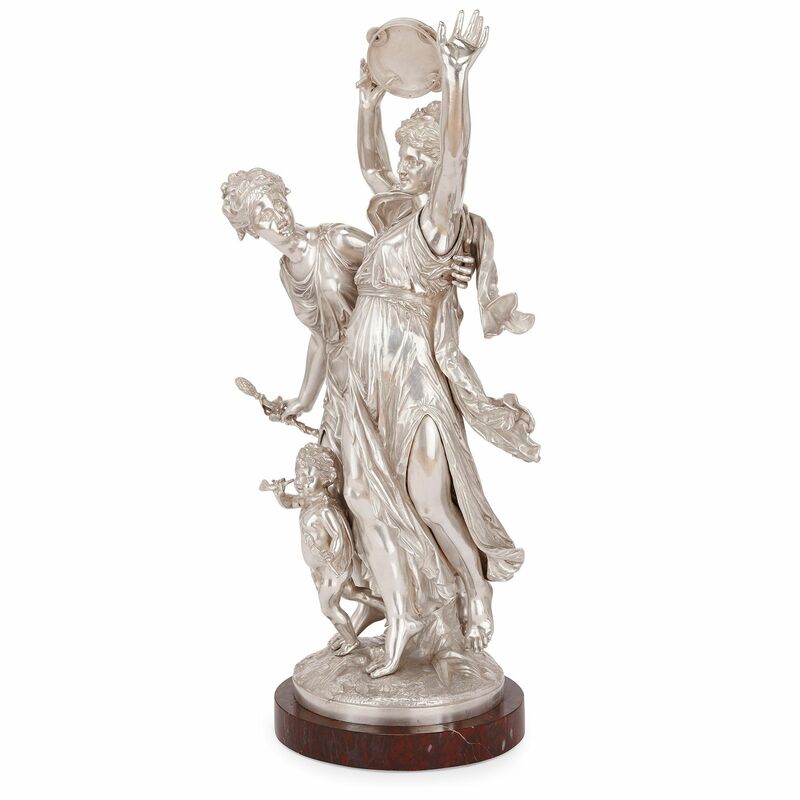 These antique, French, silvered bronze figures are sculpted in the classical allegorical style by J-L Grégoire, who trained at the École des Beaux-Arts, Paris. 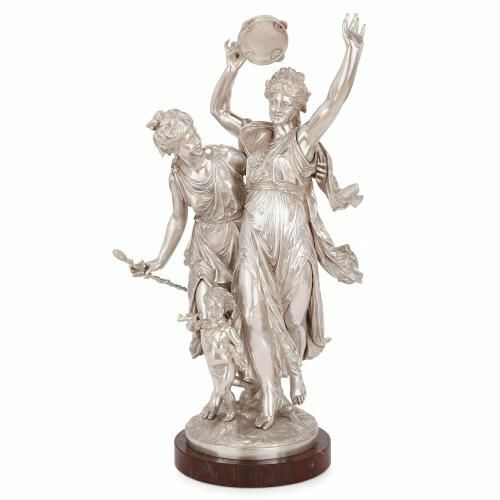 These fine, antique, sculpted figures in silvered bronze depict two dancing female figures in the classical, allegorical style. 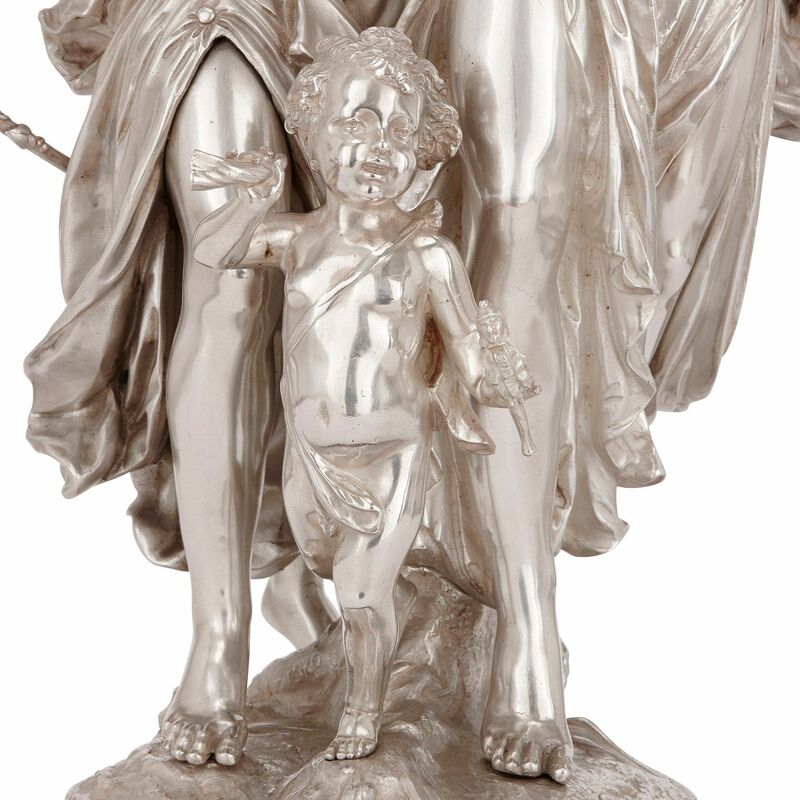 A putto skips merrily at their feet, and the figure on the right holds aloft a tambourine. 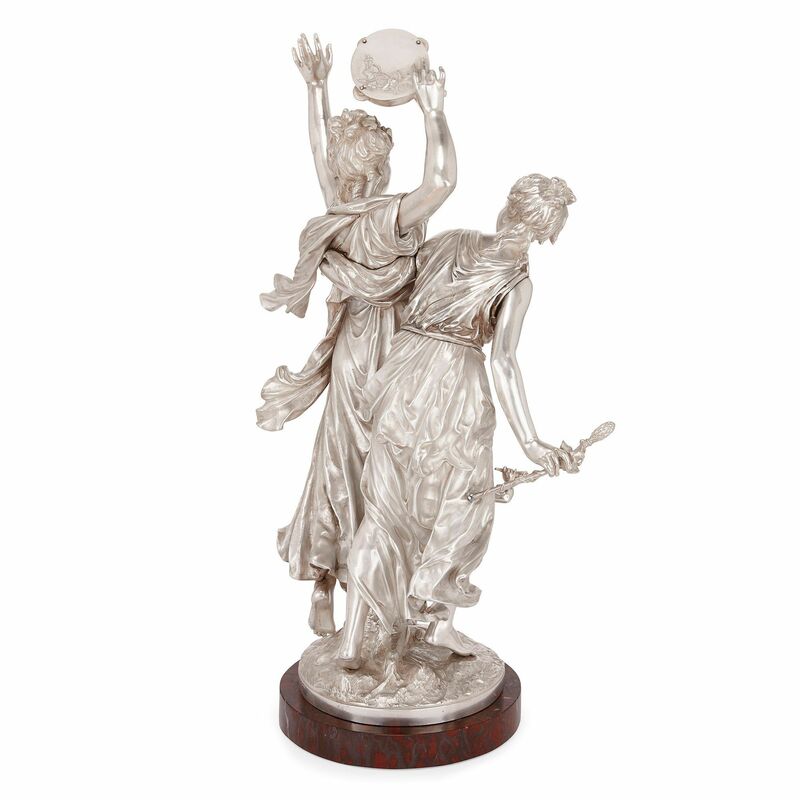 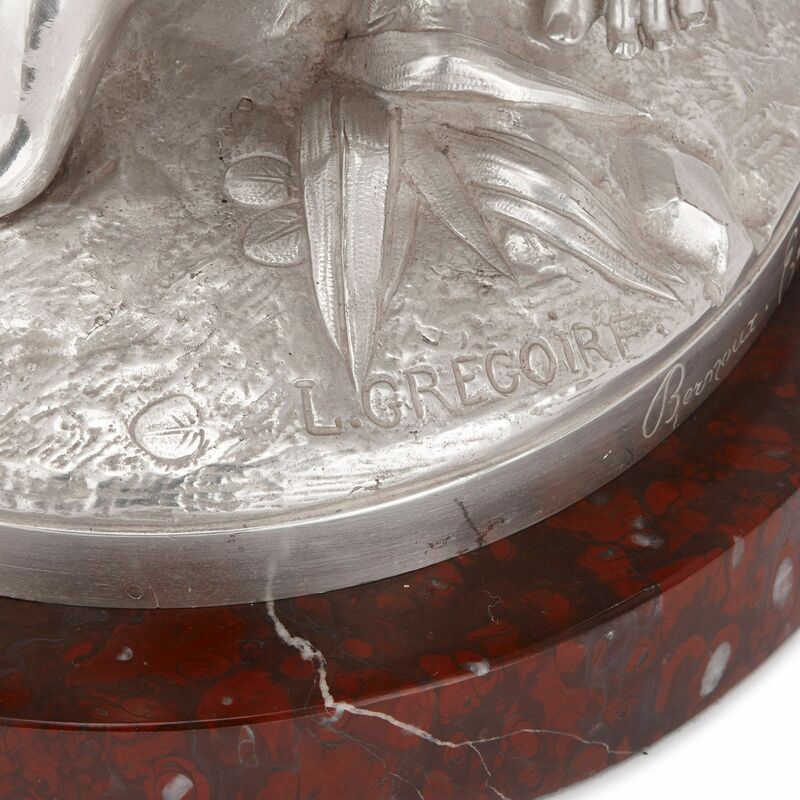 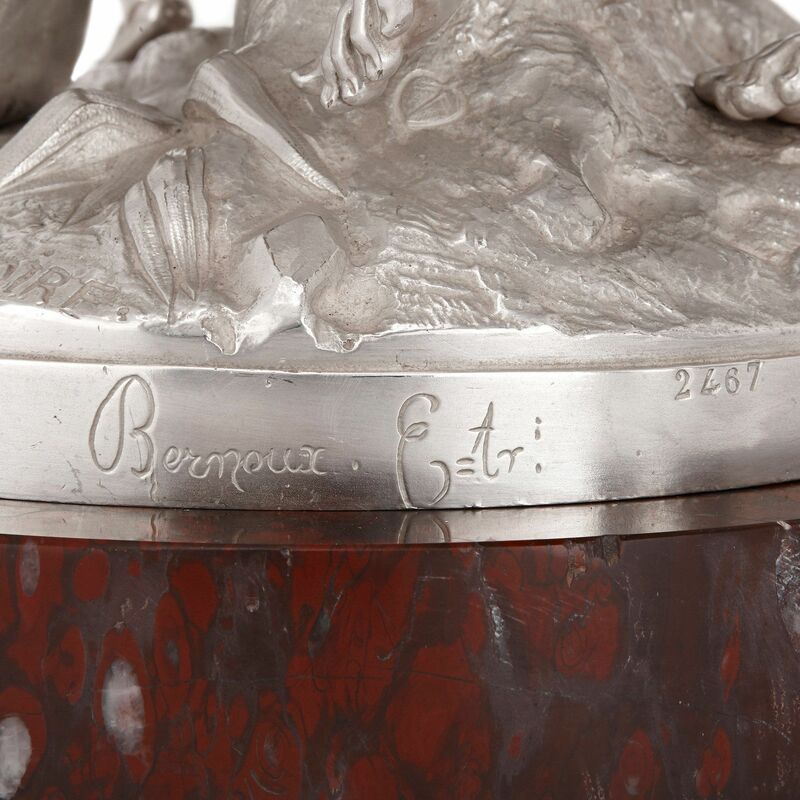 The figures stand on a naturalistic circular base and are set on a red marble plinth. The grouping exhibits a striking level of classicism in the flowing, swathed dress of the figures, the styled, bound hair of the women, and the musculature of the figures.